The point at which the project becomes well-defined is not an absolute milestone and some amount of judgment must be exercised by the project manager and core team to determine the exact point at which the project has been developed to enough detail to predict accurate right of way costs, construction costs and delivery schedule. For example a project that has no right of way needs and a limited scope of work will reach the end of the project scoping process much quicker than a very complex project. However, the relative level of details developed through the project scoping process should be comparable. The ultimate goal of the project scoping process is to perform enough of the project development process that reasonably accurate STIP commitments can be made. For most projects the minimum level of project development that is necessary to accurately identify the costs and delivery schedule of a project occurs at the Preliminary Plans stage. On the other extreme, the most accurate estimates that the core team can produce are made when there is the greatest project knowledge available (completed final plans). However, MoDOT realizes that the practicality of obtaining the most accurate estimates possible is not feasible for the purposes of making STIP commitments. Commitments need to be made to the public prior to the investment of the level of effort needed to complete the project design. The best balance between the degree of accuracy required to make the STIP commitments and the level of design effort that should be expended prior to making commitments generally occurs sometime after the Preliminary Plans have been developed. However, the Preliminary Plan stage is not an absolute milestone and it will be the responsibility of the project manager and core team to determine the exact point at which the project is detailed enough to predict accurate right of way costs, construction costs and delivery schedule. Until the proper amount of scoping has been performed to clearly define the project attributes, only preliminary engineering funds should be included in the STIP. A preliminary plan is required for every project. The requirements for preliminary plans are contained in EPG 235 Preliminary Plans. 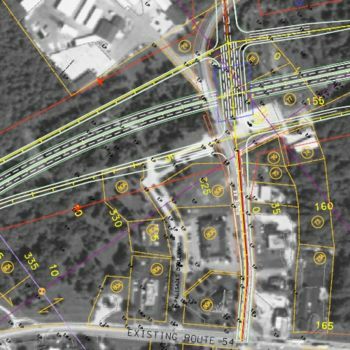 The plan is developed to show preliminary geometric details, and includes design criteria, proposed alignment, profile, tentative grade, tentative right of way, schematic intersection or interchange layouts, bypasses and pertinent topographic features. For some projects this minimum level of project development will be adequate to predict accurate right of way costs, construction costs and delivery schedule. Other more complex projects may require a greater level of development in order to achieve the desired level of accuracy. This page was last modified on 31 March 2010, at 09:01.